Yes, you read it right. One of Cebu’s finest beach resorts is inviting again another batch of bloggers all over Philippines to have an all day stay in their blue water and white sand paradise. And the key word here is, it’s for free. You should check PinoyWorld’s post for the detailed guidelines. If I will be asked what makes Maribago Bluewater totally different from other beach resorts I’ve known, then, my primary answer is definitely the way they market their services. It’s actually the very first time that I heard of a high end resort that utilizes the credibility of bloggers, using their online power to reach international target markets. This is one thing that lots of establishments haven’t realized yet. Anyways, if given the chance, it will be my second time going there. I went there last May with CBS, and we really had a great time together. Maribago Bluewater is a beach paradise carpeted with beautiful white sands; decorated with glorious pool bars, restaurants, royal bungalows; liven up with various leisure activities like scuba diving, snorkeling, live entertainments, etc. ; and crowned with Alegro Island, the spectacular 1.1 hectare man-made island which added charm and harmony to the whole resort. For your convenience, below are a few Maribago Bluewater resources that you should check before you’ll go there. 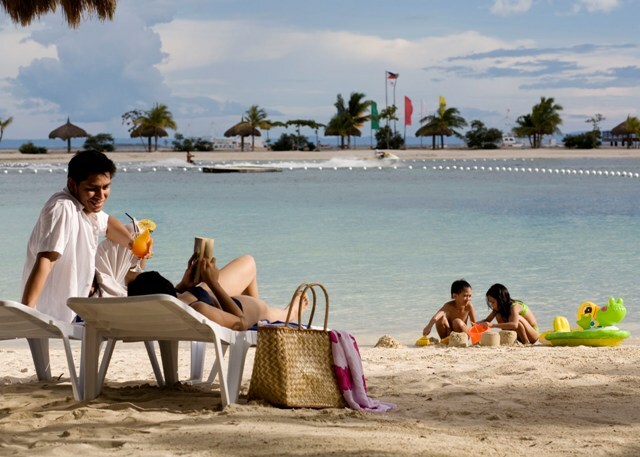 For more details about Maribago Bluewater Cebu, you can visit their website. Happy Blogging!